We were drawn to Sarah's intimate, documentary style and her art background. Her photos of our wedding simply blew us away. It's a big thing to bring someone into one of the most important days of your life and to help to preserve those memories. -- there's no one I would have rather had do that for us than Sarah. We wanted a photojournalist style of photography for our wedding, and after looking at Sarah's website, I knew she shot in the way we wanted the feel to be for our photos. Sarah is kind, laid back, and easy to work with, so even though I get pretty nervous in front of a camera, she helped me feel more at ease. Nothing ever felt rushed, or tense with Sarah, and photos just happened organically as we walked around and she would see a pretty backdrop. When Sarah shoots, you can feel her excitement and love of photography, which clearly translates in all her photographs. Sarah captured moments and emotions that you could feel when viewing the photos, which is exactly what we wanted. Overall, she did an amazing job and we could not be happier that we went with her. 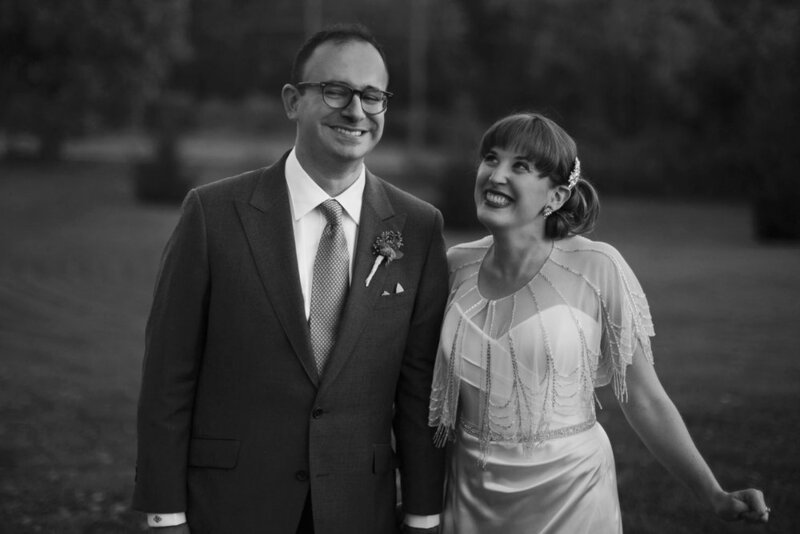 We are so grateful to Sarah for photographing our wedding this past July. The photographs from that day are absolutely stunning and capture the spirit of our festivities perfectly. As we traversed across Brooklyn, from a public park to a bowling alley to a maze of warehouses and, finally, to a rooftop farm, she kept us relaxed and in the moment. I could go on and on about how great Sarah is - and have, at length, to friends and family - but seriously, the pictures are gorgeous. I can't say enough great things about Sarah. 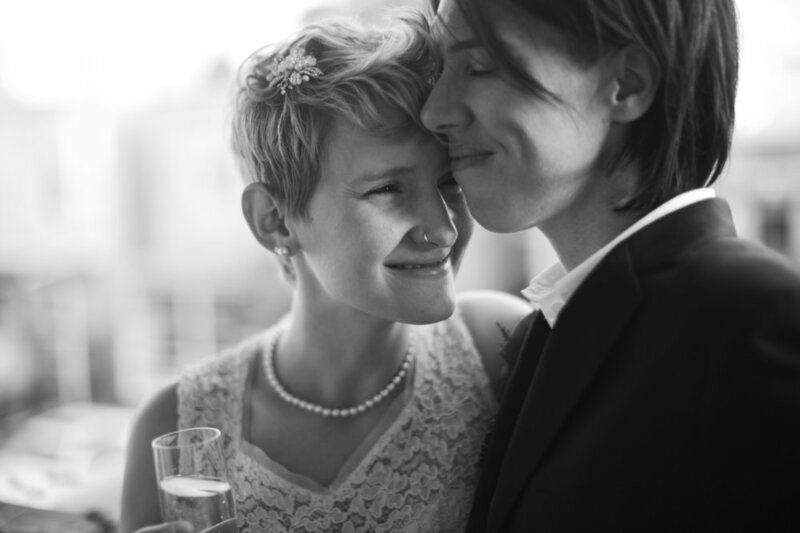 I found her through A Practical Wedding and just fell in love with her photos and how she so easily captures the joy of the events she photographs. She was an incredibly relaxed and warm presence to have around the day-of the wedding, and she made both me and my husband comfortable even though I hate having my picture taken. Many of our guests commented on how she seemed to be everywhere at once during the reception and she got so many fantastic candid pictures of nearly every one of our guests. During the family pictures she worked incredibly quickly so that we could enjoy the cocktail hour, and the resulting pictures were so great. Thank you Sarah!! Choosing Sarah as our photographer was one of the best decisions we made. When I was looking for photographers, what I loved about her work was that none of the weddings or engagements she shoots look the same -- everyone looks beautiful and happy, but also like themselves. That's because Sarah captures the real people and real weddings that she shoots, rather than arranging them to fit a shot list or a script. And to top it all of, she's just an absolutely lovely person to work with. Our engagement shoot a few months before our wedding felt less like a "photo shoot" than a sunset ramble around our neighborhood with a friend -- and the relaxed, natural photos she captured reflected how comfortable we felt with her. At the wedding itself, Sarah was an incredibly calming presence through the flurry of pre-ceremony photos -- and at the reception, I almost didn't notice she was there, until she would materialize out of nowhere to snap a shot. She never posed or interrupted the action; she just captured it. We were beyond thrilled with the results: the photos are warm, intimate and personal, and they perfectly captured how excited and giddy we were all day. What I love most is that they're beautiful photos not just of "our wedding", but of us. Sarah also has an incredible eye for visual storytelling, and caught some truly amazing, touching candids of our friends and family. We can't thank her enough. I am endlessly grateful for couples who invite me to witness and document such hopeful, open, and authentic expressions of love. Thank you so very much to the amazing individuals who offered these kind words!